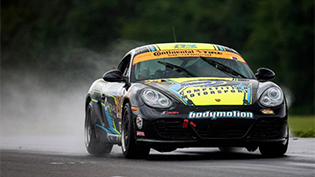 First ST Class Win at Intense and Bizarre VIR Enduro! Bodymotion Racing's No. 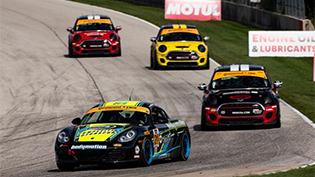 21 Porsche Cayman sponsored by Competition Motorsport showed great pace in Saturday's IMSA Continental Tire SportsCar Challenge race at Road America. New Seat Technology from Sparco!